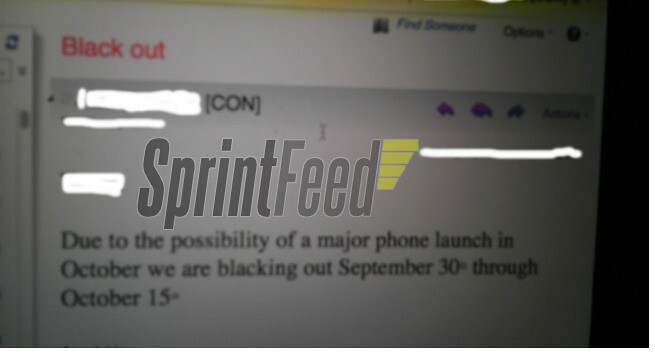 Sprintfeed provides a screenshot of Sprint’s internal systems showing a blackout of some kind due to a major phone launch. The dates September 30th to October 15th fall in line with all of the recent rumors and Sprint’s Galaxy S 2 gets released next week so that ain’t it. Yeah, Sprint. Welcome to iPhone.